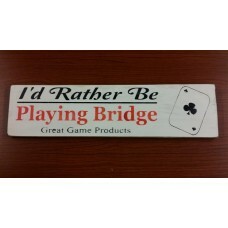 Genuine Custom made Great Game Products wooden sign. These can be customized with your own original personalized messege . 100% real wood.Approx 20" x 5"
To insert your own personal messege simply enter your text when checking out and when you reach the "shipping" section go to "Add Comments About Your Order" and enter your personal text there. 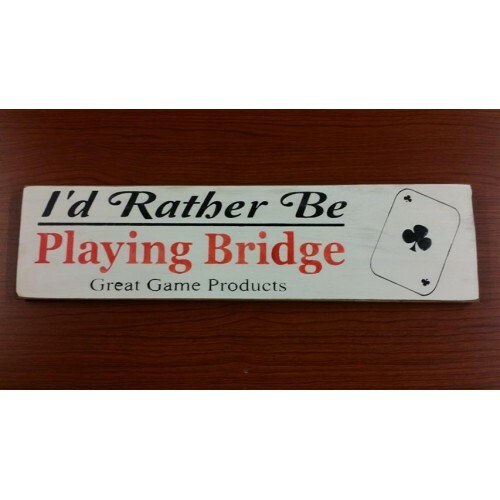 You can also email us after your order is placed at sales@bridgebaron.com or help@greatgameproducts.com with your desired messege.